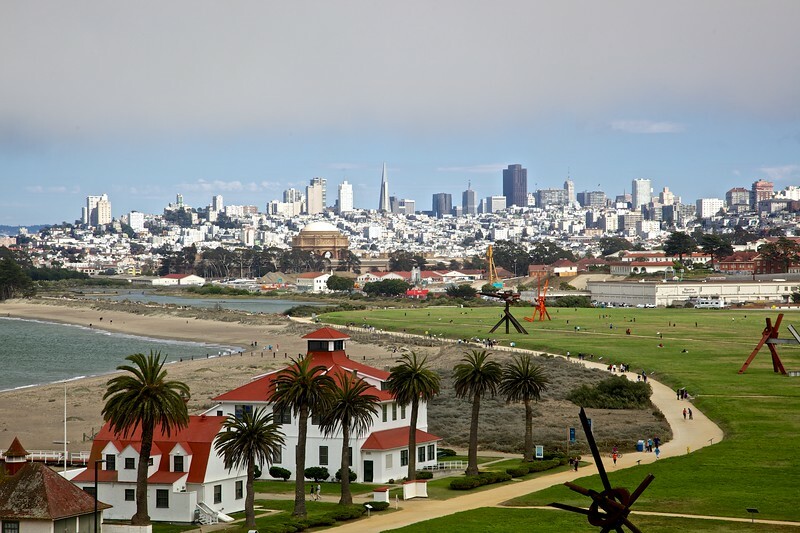 A wedding invitation afforded me an opportunity to spend two weeks in California in summer 2013. I drove north along Highway 1 from San Diego to San Francisco, taking in many sights along the way. The walls of the Warden’s House at Alcatraz which are still standing. 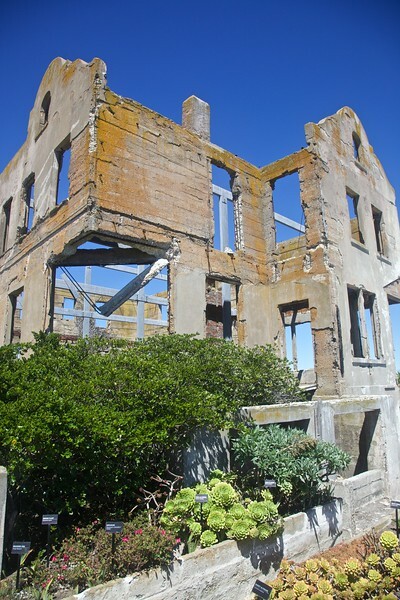 There is a project of the U.S. National Parks Service (which runs the island now) to rebuild the house for the museum. 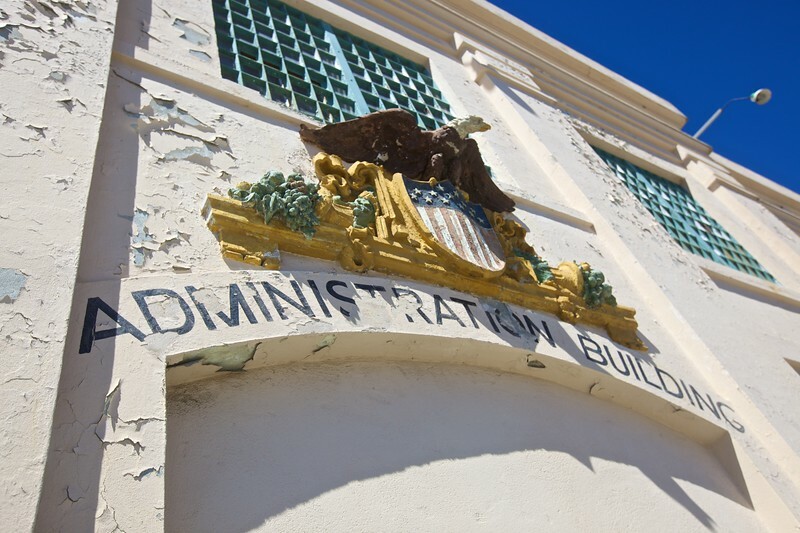 The entrance to the Administration Building at Alcatraz Federal Penitentiary. 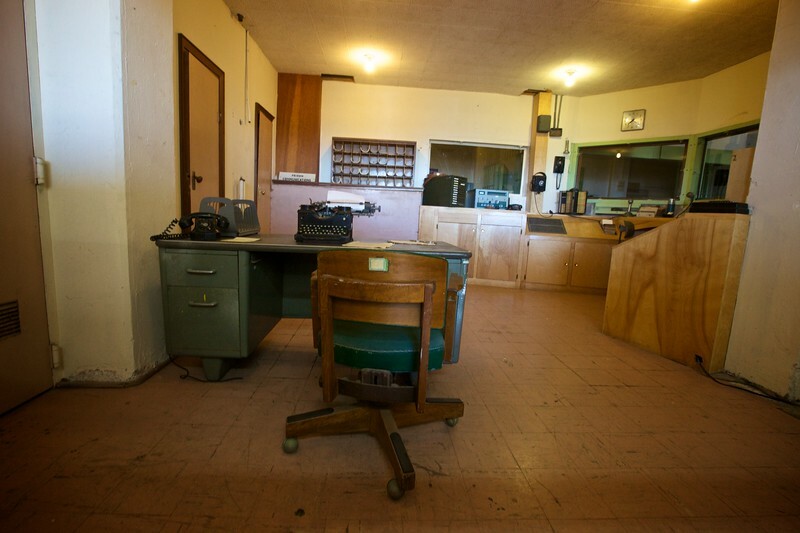 An office for prison guards at Alcatraz. 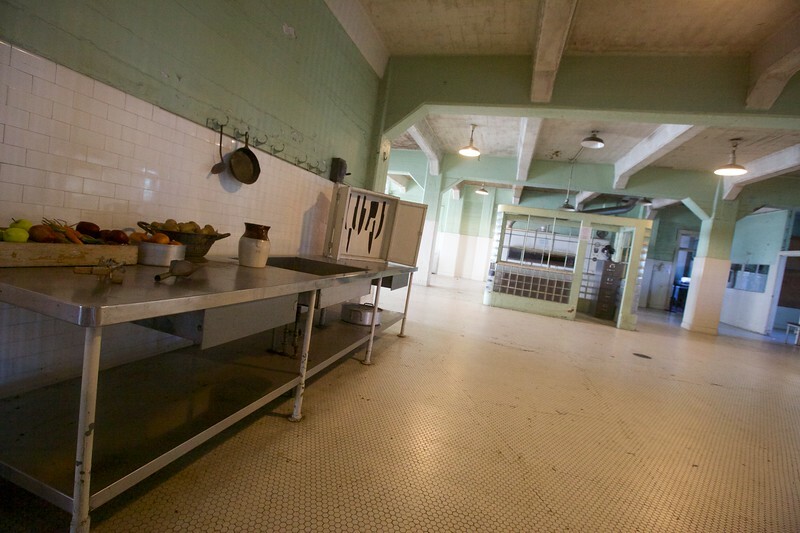 The prison kitchen at Alcatraz. 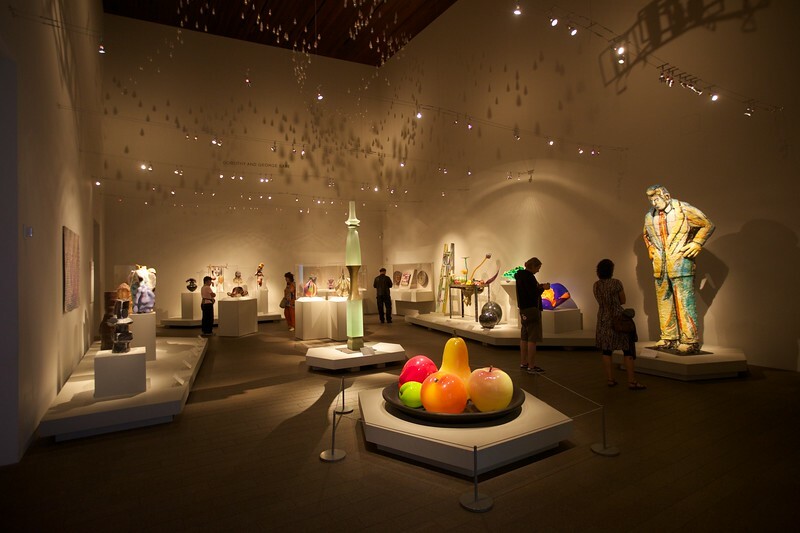 A modern sculpture gallery at the De Young Museum of Art, San Francisco. 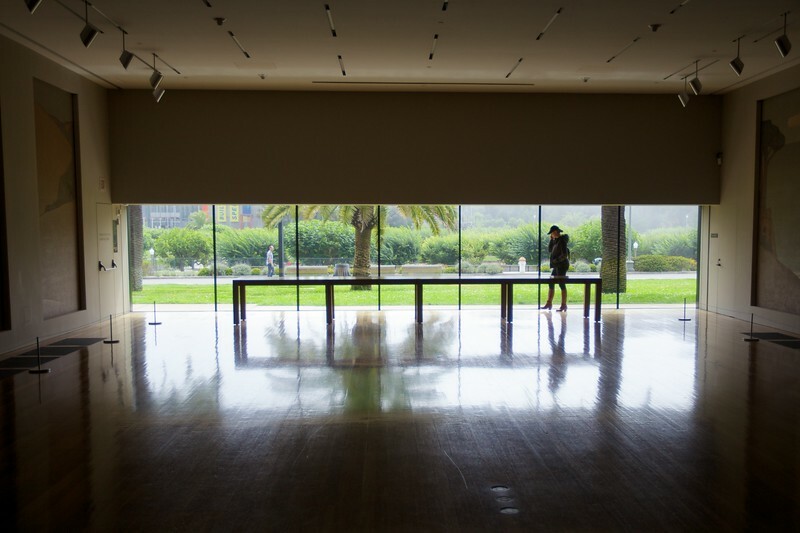 A woman makes a phone call in a gallery at the De Young Museum of Art. 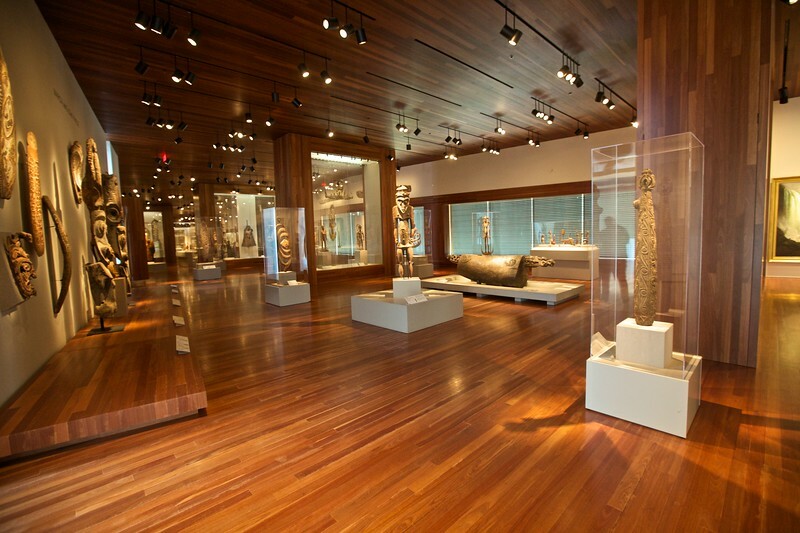 Tribal art from the South Pacific Islands at the De Young Museum of Art. 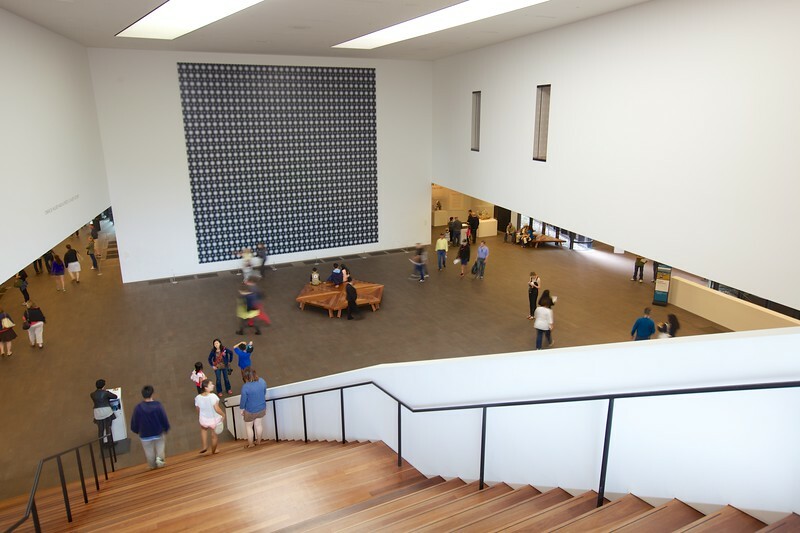 The main staircase at the De Young Museum of Art. 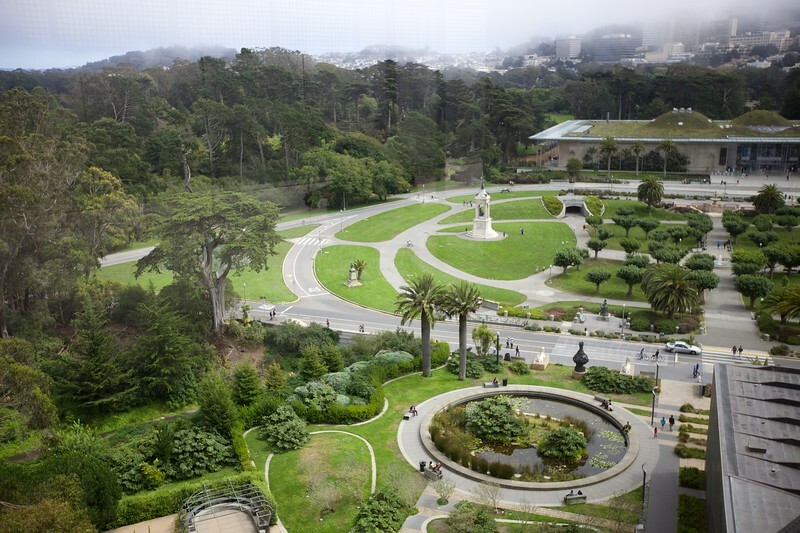 View across the Golden Gate Park from the top of the De Young Museum of Art to the California Academy of Sciences. 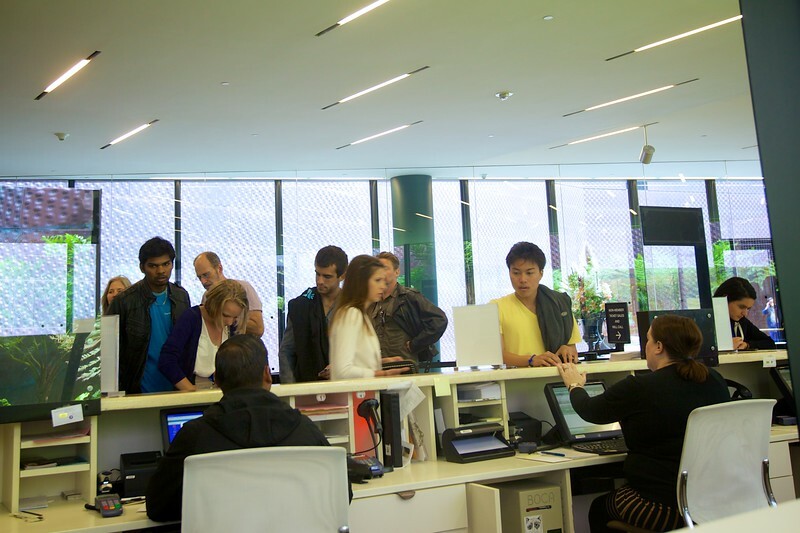 Visitors buy tickets to get in to the De Young Museum of Art in San Francisco. Looking towards San Francisco from the Berkeley Pier, the end of which has fallen into disrepair. 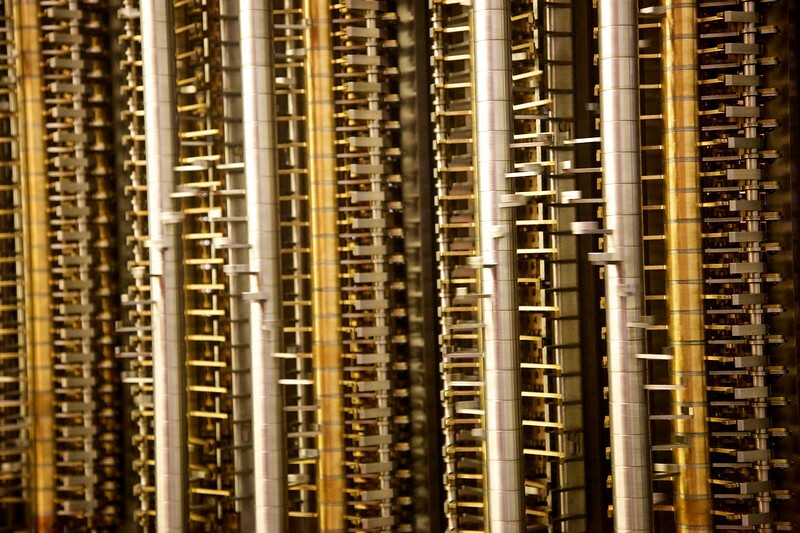 A scale replica of the Babbage Difference Engine no. 1 at the Museum of Computer History, Mountain View. 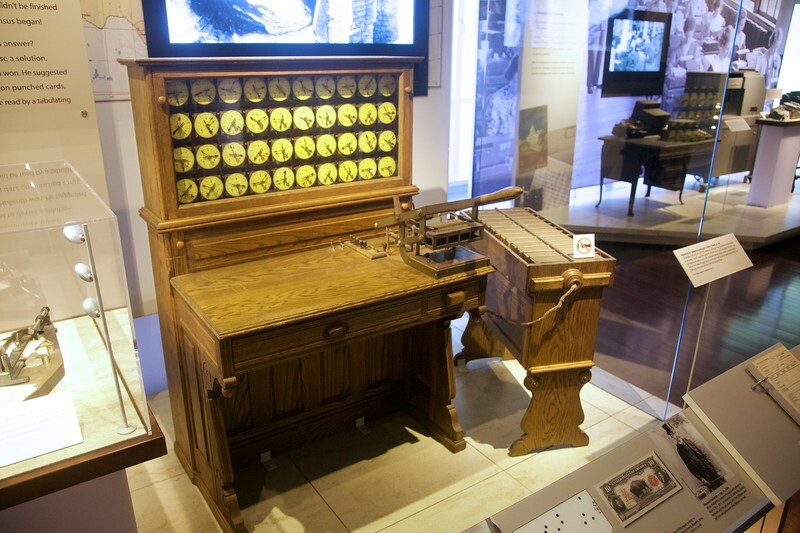 Herman Hollerith’s tabulating machine, which won a U.S. Government competition for a method of simplifying and speeding up the process of counting the 1890 census. Hollerith’s ‘Tabulating Machine Company’ was one of four enterprises which merged to form the Computer-Tabulating-Recording Company, which was later renamed International Business Machines. 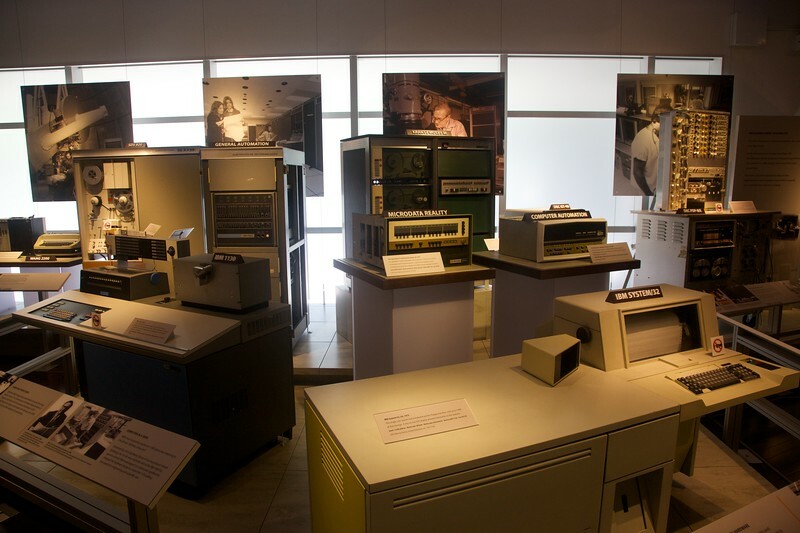 Various 1970s-era computers on display at the Computer History Museum. 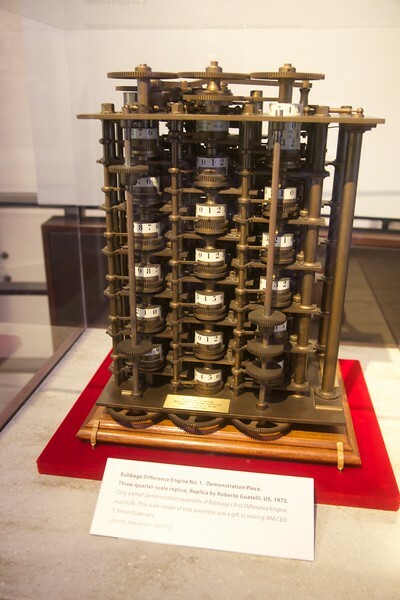 The full-size model of Babbage’s Difference Engine No. 1, in motion, counting differences. 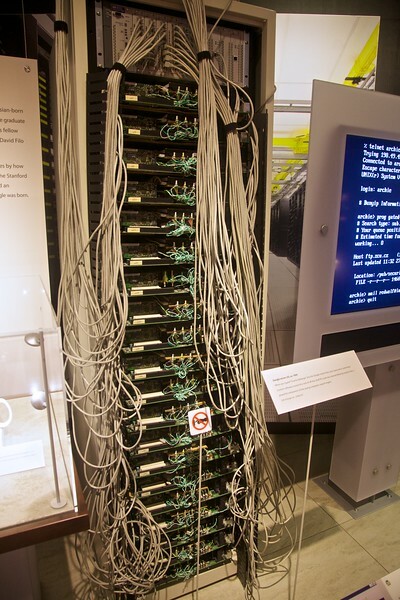 A 1999 rack of equipment used by the then-new search engine Google.